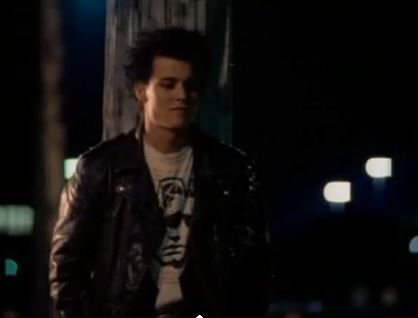 What’s goin’ down: PUNK!!! Rival gangs of punk rockers are running around the city causing thousands of dollars in vandalism damage and sending each other to the hospital in acts of violence. Here’s Hanson: In the first episode, Hanson was the squeaky-clean beat cop. In this episode, we get his full-on progression. Here’s the debut of the earring, the eyeshadow, the spikey hair, the whole deal. Sure, it’s all service of going undercover, but it has a transformative effect on him. Hanson finds acceptance among the outsiders. Penhall’s prerogatives: With Hanson undercover as the punk, that leaves Penhall to pose as Hanson’s uptight preppy brother. 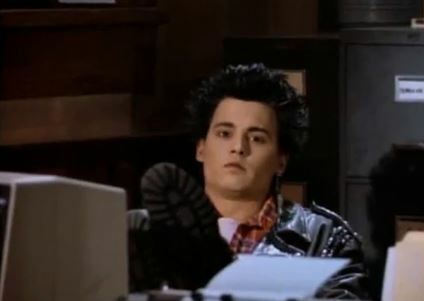 Undercover blues: Upon getting to know the punks, Hanson and Penhall learn that they’re not just troublemakers, but have whole other lives in school and in the suburbs. This generates a lot of food for thought about the nature of identity, reflecting back on our undercover heroes. Goin’ to the chapel: Fuller rips Hanson a new one when Hanson fails to report in, just like a parent waiting up with the light on, wondering where the teen is all night. Torn from today’s headlines: I’m not sure if there’s an immediate parallel between punk rock and gang violence, but this episode would have us all think so. Trivia time: The producers rounded up an actual mid-‘80s punk band, Agent Orange, to provide music for this episode. 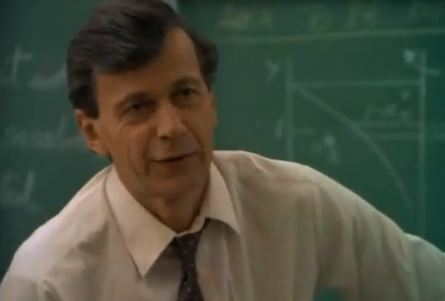 One of the punks’ teachers is played by William B. Davis, famous for his role as the cigarette-smoking man on The X-Files. He plays a kindly teacher not too differently from how he played an evil conspirator. One of the vandals spraypaints “neighbours” – with a “u” – on a wall, thus proving that, yes, the show was filmed in Canada. Jumpin’ or not? 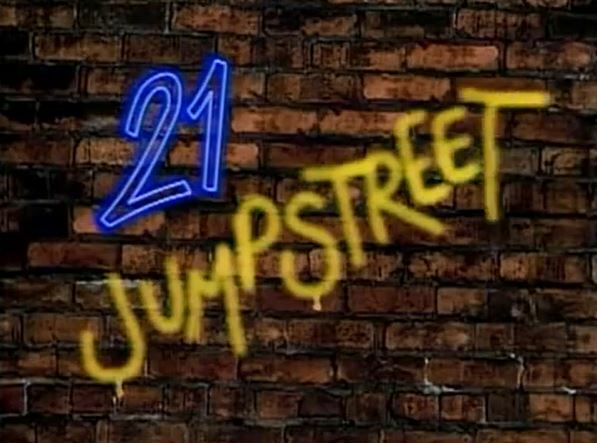 This season finale is a lot of what we like about 21 Jump Street. It has ‘80s pop culture goofiness combined with a sense of old-timey (many might say outdated) morality. Moreover, it shows the progression of Hanson’s character better than any other episode yet. That’s the point I’ve been hoping to make with this rewatch, that despite the show’s hokiness, that characters are what make it enjoyable. It’s jumpin’!